Leo Gift - is a professional on the basis of the next component VirtueMart internet - shop template submitted by developers LeoTheme. Template thanks studio Leo Framework platform becomes the admin panel flexible settings, adaptive function, when you make a choice of color themes and more. All parameters in the template provides a built-in template manager: change references in color, change the background, font size, text, and so on. 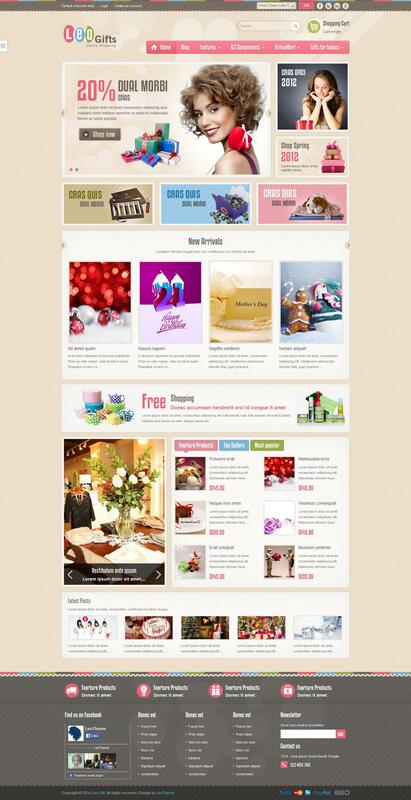 Presence in four color template of predefined themes will help any website to pick the best external appearance. Of the template and the potential to significantly increase the firmware extension K2.